In this page you can find all about Professional Movers, International Relocation Services, Storage Services and others. ASTA Projects (S) Pte Ltd - A government registered & certified logistics company for international and local moving services, with 43 worldwide destination agents & over 20 years of logistics experience. 1) Moving Brokerage for international and local moves – Whether you are moving internationally or locally, do not hassle yourself by calling many movers and getting all of them to visit you and survey your home. 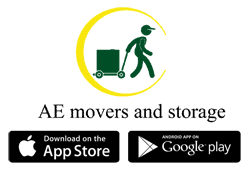 Finding the right mover has become sooo easy! Call us and with only one professional survey you will receive several, competitive mover quotations and our independent advice on your move. All at no extra costs! 2) Cross Roads works with about 15 reputable moving companies in Singapore – Whether you are moving at your own or your company’s expense we will be working for you to get you the solution that you really want. In our pre-move assessment we will note all your moving details and requirements and survey your home in order to prepare the quote request to all your preferred movers. All at no extra costs! 3) Cross Roads works for individuals as well as corporate clients – Whether you are an individual or an organization – we can help you save time and hassle when you need to compare mover quotations. Leave all the calling and searching to us! All at no extra costs! Masterpiece has over 30 years of veteran experience in providing international moving services to our customers. As a reliable and trusted international mover, we believe in providing the best customer service for their customised moving needs with our responsible and experienced movers. We want to help our customers by ensuring a stress-free and happy move for our customers! We take on a comprehensive consultative role for you, guiding you through the procedures of your move, providing you useful advice to making your transition easy and fuss-free. Masterpiece is committed to making your move happy and stress-free. Just let our team of movers know what you need to bring, without you having to lift your finger or strain your backs to pack your shipment. Our customers enjoy a peace of mind when they engage Masterpiece as their international mover. Masterpiece has a strong and reliable network of international partners around the world, and we can connect you to where ever you need to move to. We will be your single point of contact, and we will take care of all the liaising and co-ordinating required to make your transition smooth. 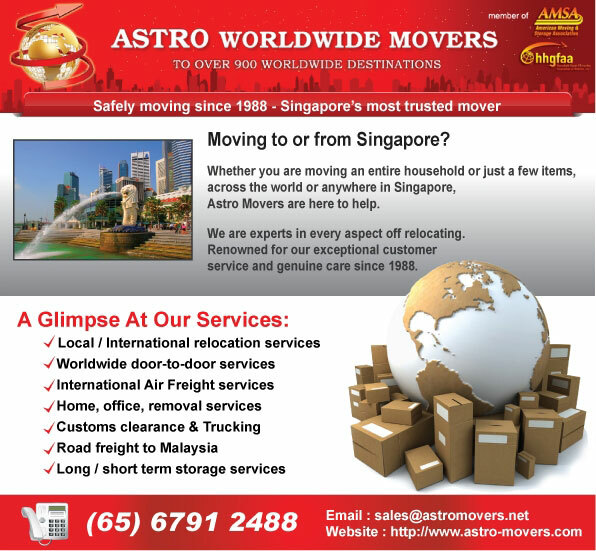 Movers Singapore aims to provide "Hassle-Free" moving services to meet your local and international moving needs. Whether you are moving house, moving office, moving furniture, moving boxes, moving piano or simply just need packing services, we are here to provide the best moving experience for you. Our objective is to create personal attention for every move. We discuss and plan the move meticulously with you. Not only you will have no regrets engaging our skilled movers, you will be impressed with their wealth of moving experience. We cater to clients' needs for every move in order to make their move as painless and enjoyable as possible. We provide competitive pricing without compromising on quality of move. You can be assured that our best movers and packers are assigned to move your belongings. Let our movers and packers do the necessary work of shifting your office or house. Let our storage facilities keep your belonging temporarily. Contact us now for a non-obligatory fee quote. Movers Singapore is one of Singapore’s most informative website on moving and moving services. Whether you are looking for a mover for your impending home relocation or simply searching the web for moving and packing tips, you will find much of the information you need on their site. For those planning to move, this is the website you will want to visit. Rentalorry is a one stop portal for you to find all your transportation and logistics needs. We have been in the logistic business for several years and we provide one of the lowest prices in Singapore for delivery and rental services. From passenger van rentals, to one-way transport services, find them all here at Rentalorry. Through our extensive networks and partnerships, we have access to a wide range of vehicles. This means that you will definitely be able to find whatever you require at Rentalorry. Contact us now if you have any queries or want a quotation! Big Orange is here to make self storage simpler, more convenient, flexible and totally secure for you. We give you more space to improve and simplify your life. If this is what you are looking for you’re in the right place. Provides warehouse, self storage, mini storage and space management solutions in locations around Singapore and Hong Kong. Our Self Storage facilities in Singapore and Hong Kong provide secure storage space and transport solutions to help you move into our facility.